Aloe Vera Gel is one of the easiest natural cosmetics to be made at home and is known for its properties to cool the skin and help against acne, minor burns and itchy rashes. While ready-made products only contain small amounts of actual Aloe Vera and instead a lump sum of unwanted, often skin irritating chemicals, you can be sure to use a perfectly organic and hundred percent natural product, if you make your own Aloe Vera Gel at home. Take about 2-3 leaves of a fresh Aloe Vera plant. If you don’t have a plant at home, you can nowadays get the leaves cut and packed in many supermarkets or organic stores. 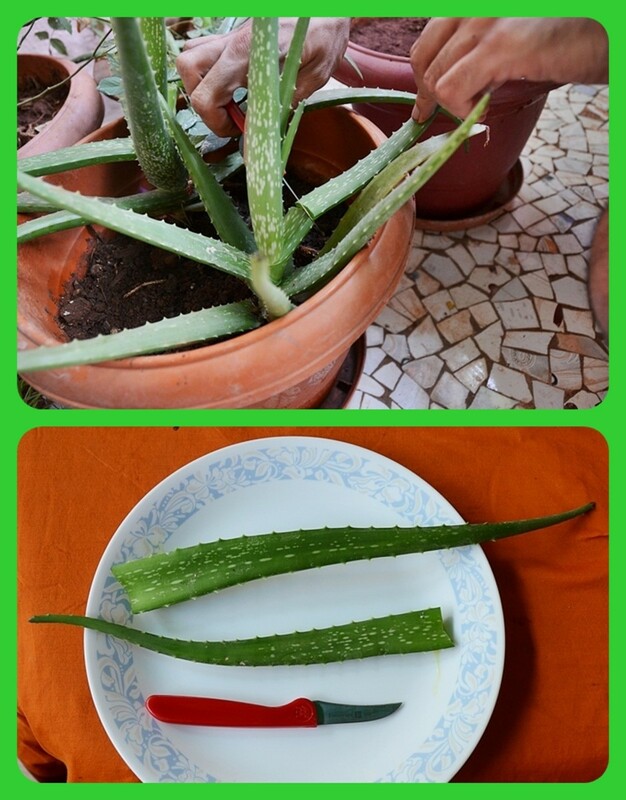 I personally highly recommend to grow Aloe Vera at home. It is an extreme resistant and easy to grow plant that only requires a warm, half-sunny place and watering every few days. Only like this you can be sure to be using a pesticide free product - and after all that is what we want for our sensitive skin! 1. 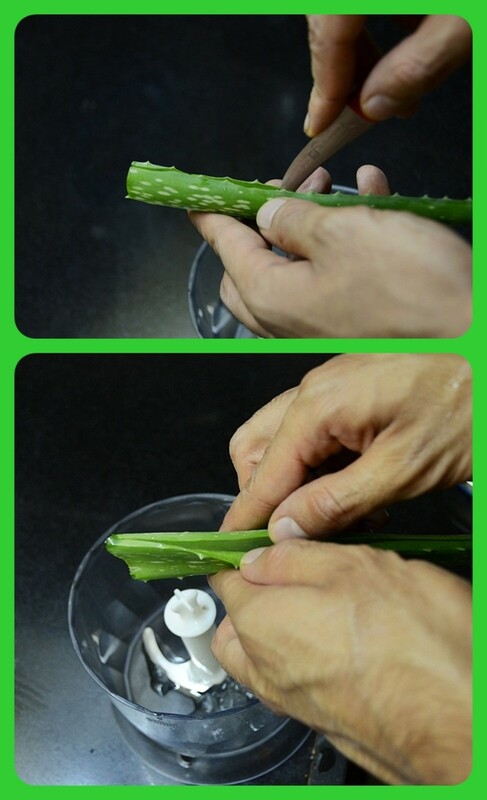 Cut the leaf with a sharp knife close to the stem. 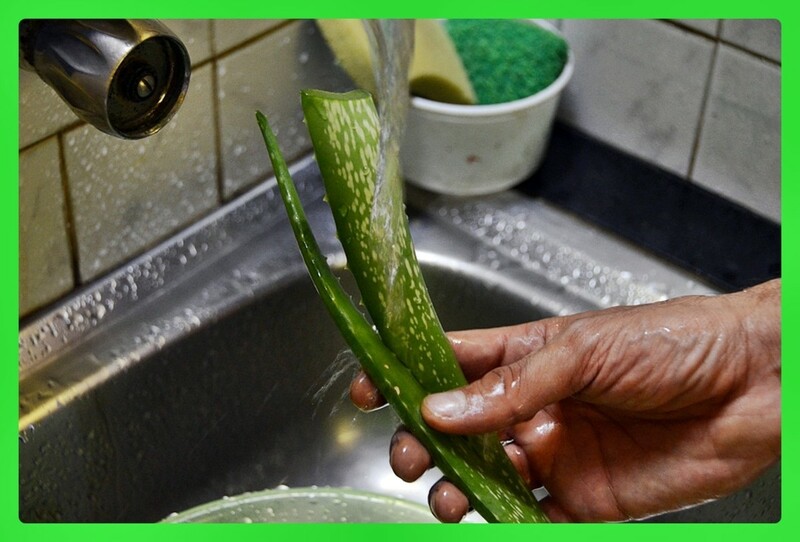 The yellow liquid that comes out of the cut tissue can be skin irritating, so make sure you wash your Aloe Vera leaves well before further processing. 2. Cut along the flat side of the leaf and carefully lift it up like a lid. 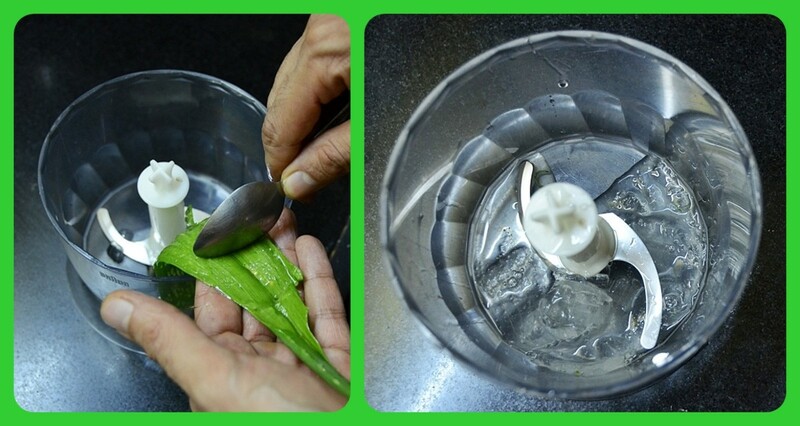 You then can easily scratch out the content of the leaf with a teaspoon directly into your blender. Just make sure you have washed your hands well before dealing with the Aloe Vera Gel so that it will stay fresh longer. If small pieces of leaf tissue (green chunks in your otherwise clear gel) have fallen into the blender, just remove them with a clean spoon before adding the other ingredients. 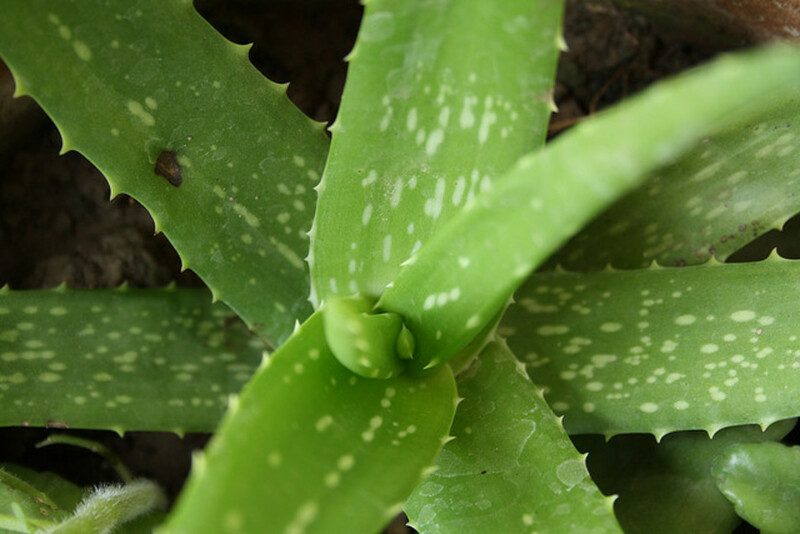 Make sure the unprocessed Aloe Vera Gel is clear and not discoloured, otherwise dispose it and try a fresh leaf. 3. You then add the content of 1 Vitamin E capsule into the blender which will enhance the positive effects of the Aloe Gel on your skin. Crush 1 Vitamin C pill and add it – this will help to preserve your gel longer. The Vitamins we have used in this recipe were bought at a regular pharmacy and contain 400mg of Vitamin E and 500mg of Vitamin C.
4. 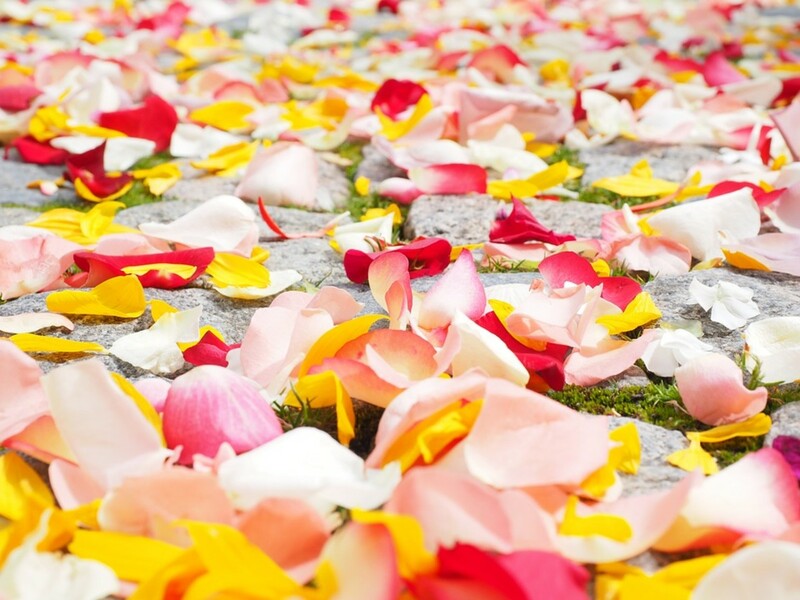 We now usually add about 1 tbsp Rosewater – you can vary according to the desired intensity of the scent. If you can’t find Rosewater in your normal supermarket, try a local Asian, Iranian or Indian shop – you should be able to easily find it. The Rosewater is simply serving the purpose of enhancing the scent, as the pure gel can have a grassy and slightly unpleasant smell. Feel free to try other scents and share your results with the community! 5. 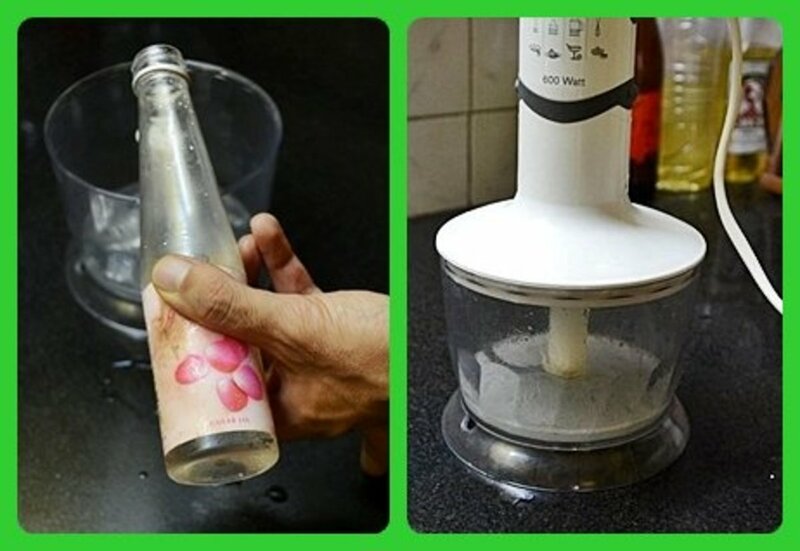 Now blend the mix for only a few seconds, to avoid making it to watery. As you can see we have made only a very small quantity, as we prefer to make our Gel fresh every other week. But you can of course make a bit larger quantities, too, just add respectively more Vitamin C, E and Rosewater. 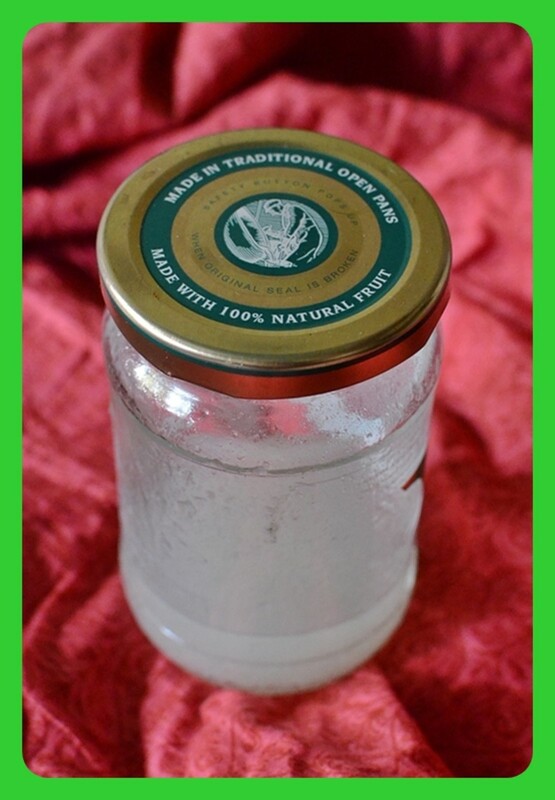 Our home-made pure Aloe Vera Gel is now ready and can be filled into any clean airtight container, preferably glas. 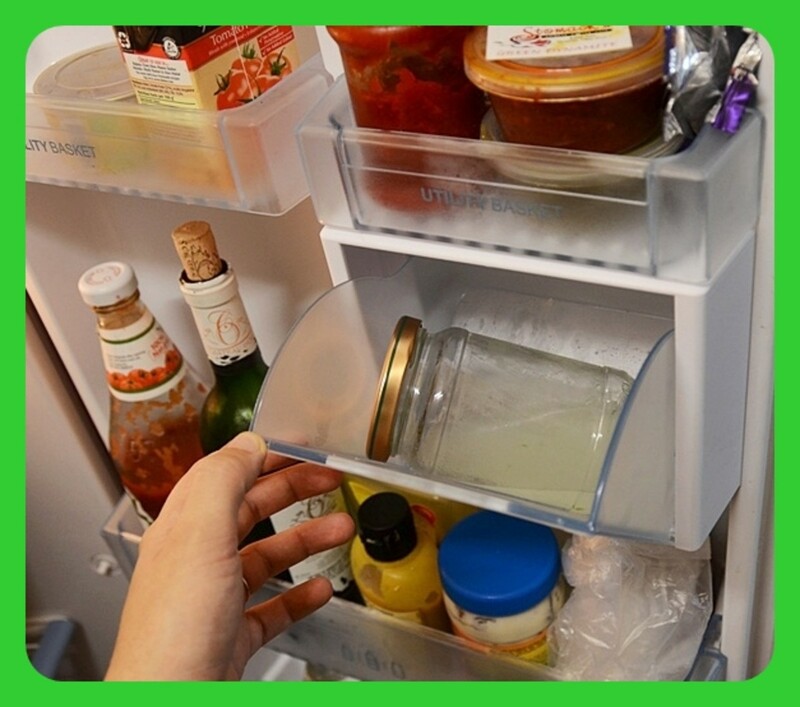 You can now keep your Aloe Vera Gel for about 2 months in the fridge. 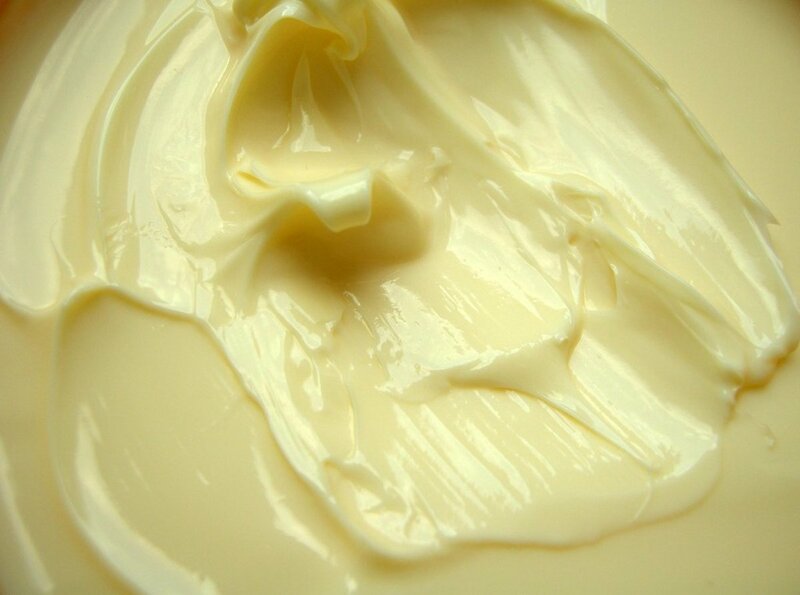 Aloe Vera Gel is known for its excellent ability to penetrate the human skin and thus rehydrate it. It further more has positive effects on acne, can be used to treat sunburn and is even said to regenerate hair follicles. 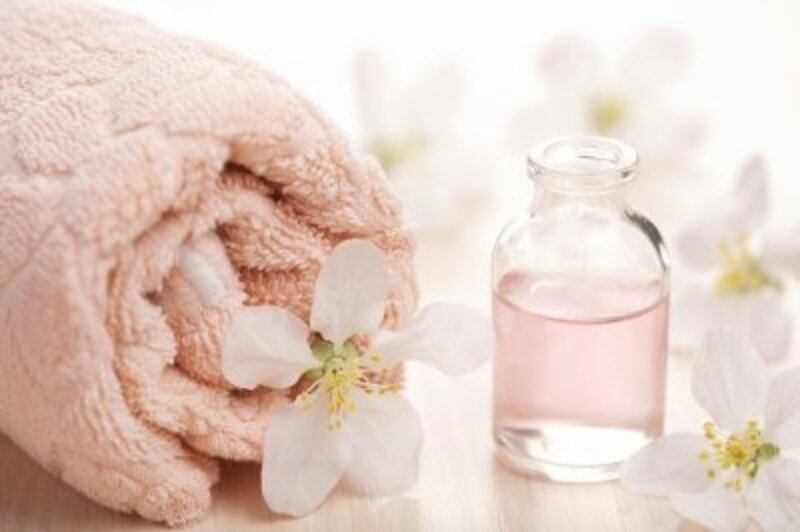 While we haven't tried all of its properties ourselves, we can certainly say that it has a great effect on our skin, makes us look and feel rejuvenated and has helped me against itchy rashes and even mosquito bites. It several time has helped me to get rid of annoying sleep lines in a matter of minutes. Especially in hot summers the cold gel out of the fridge is like putting a relaxing facemask on! 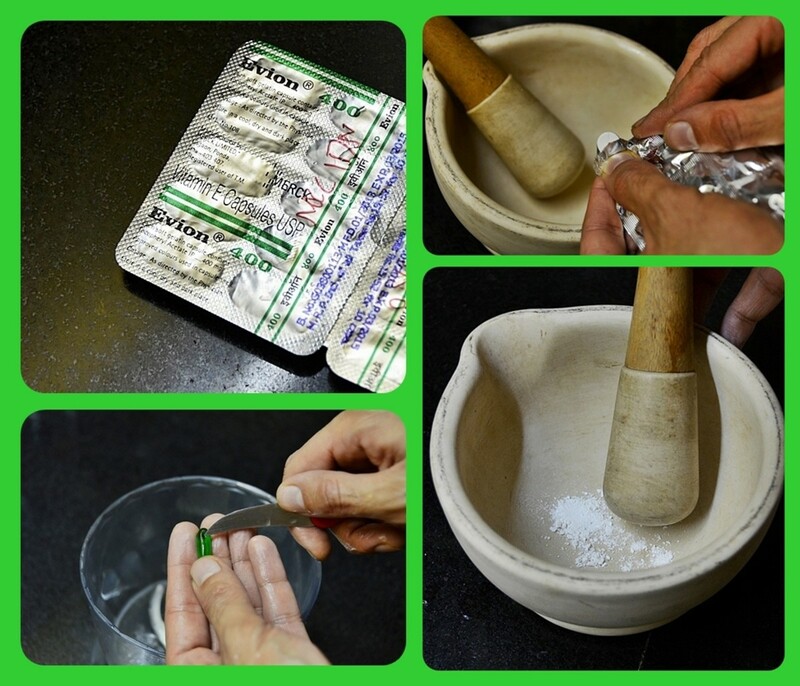 The main advantage of making the Aloe Vera Gel at home, is that you can be absolutely sure what is in it. 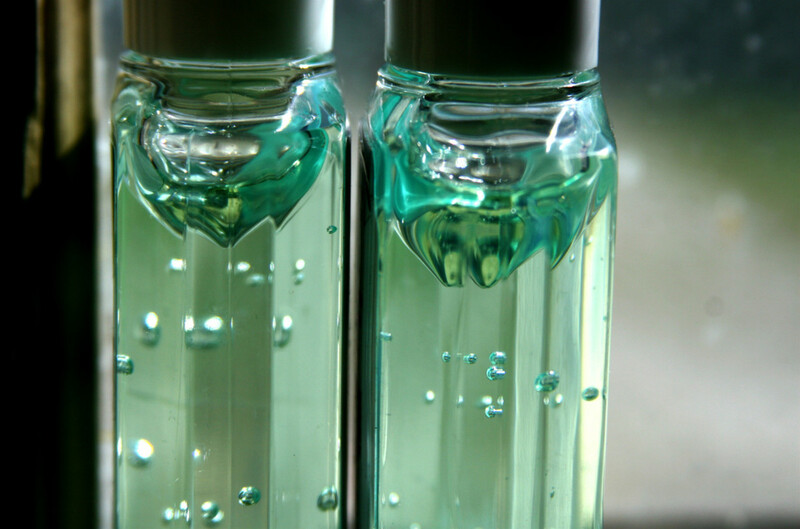 Many ready-made product have only a minuscule amount of pure Aloe in it and will most likely not do you much good. So spread the word, enjoy your home-made Aloe Vera Gel and share your experiences with us! How good is Aloe Vera Gel really? Have you ever experienced the positive effects of Aloe Vera Gel for your skin? Can i substitiute lemon over vitamin C capsule and how many days will it kast on the fridge? Can you blend and strain pieces that are too small to peel? I mean for immediate use. The variety of aloe plant I have just keeps on dividing instead of getting bigger. 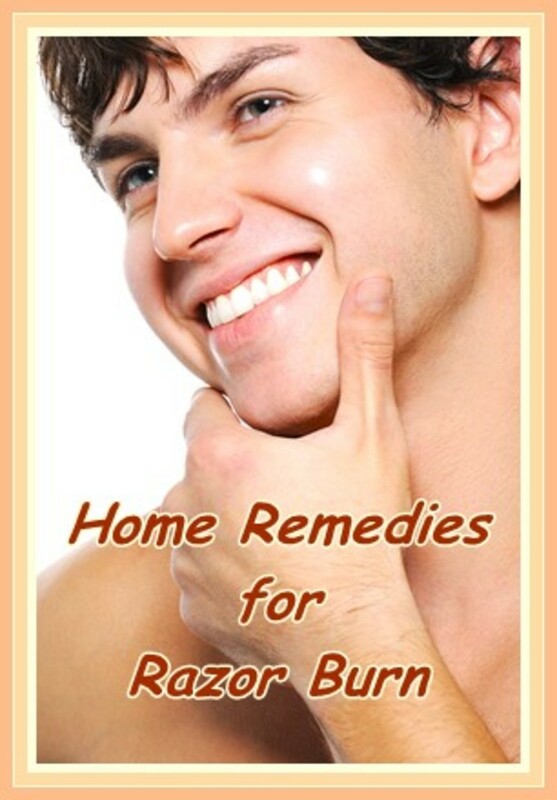 I am using it to treat my husband's cronic heat rash. It's working amazingly well. He has seen a number of doctors who could do little for it. I used Aloe Vera as gel (from pharmacy), to treat my stomach pain. I startedto have gastritis / ulcer. It was very very effective, in order to heal it, in a degree. However, i dont think so that any single product exists without adverse effects. Therefore, caution! Hi Thelma - have you been careful not to get in touch with the yellow-green juice that comes out of the leaf when cut? You could also try to strain your gel - as sometimes when you scratch the gel out of the leaf small particles of the leaf itself might come into your gel - maybe that is causing the allergy? Have a nice day, too! I have aloe vera plants in my garden. I love this plant and I applied this to myself but lately I had rashes from using this. Maybe I´m already allergic to aloe vera. Thanks for sharing this useful hub. Have a nice day! Hello Sinthi, I am of course not a dermatologist, but as Aloe Vera gel has been found beneficial in certain cases of Acne you should give it a shot. And yes, you can directly apply the gel to your skin - I use it on my face and my whole body like a bodylotion and it really feels very rejuvenating. As for dark spots - I don't think that Aloe gel will be able to remove spots, but helping your skin to be healthy will most likely increase its own self-protection properties against sun rays and thus will prevent your skin from getting more spots due to sun damage. Of course the topical application of any product can do only that much - a maybe even more important factor will be your diet and lifestyle. Nevertheless, Aloe is a really a god sent plant - and helps me limiting all these awkward substances I would put on my skin through lotions, creams, body-butters and more. Give it a shot and share your experience with us - so far I haven't met anybody who noticed negative effects! i have an oily skin n pimples on my face,back and upper parts of the hands. i want to get rid of it..can i use aloe vera gel on my skin directly or is it helpful for reducing my dark spots ?how can i use it?please help me with your advice. I harvested some aloe vera for the first time yedterday. But it turned out more like juice than gel. What can I do or did I do something wrong? Thanks for any help. Very smart! I like the addition of the vitamin pills. I wonder though, do oral supplements still give the same benefits if they are applied topically? Hi peachpurple, that's great to hear. I really use my own Aloe Vera Gel nearly every day on my face, neck and elbows and it really seems to improve my skin - especially if you have dry skin, but an oily face care product wouldn't suit your skin type. I also once was badly bitten by many mosquitoes and was going crazy with the itchiness - even here Aloe Vera really helped me. Plus the more you learn about the unwanted chemicals in your everyday care products, the more you'll appreciate your home-made cosmetics. Try it out and share your experiences with the community!